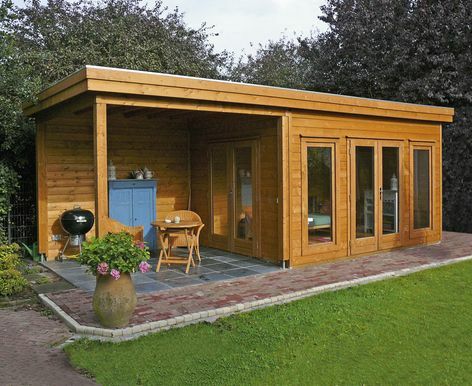 A fabulous large cabin with a covered space allows you to make the most of your garden all year round. The roofing material consists of a one piece rubber matting edged all around with aluminium strips. The Prima Victoria features a large canopy area, ideal for all weathers. 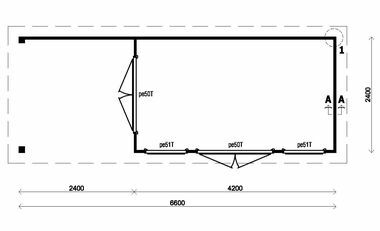 Size approximately 2.4m x 6.6m in 44 mm log thickness. The standard design includes 2 double doors PE50, 2 top hung windows PE51. The built in canopy measures 240cm.